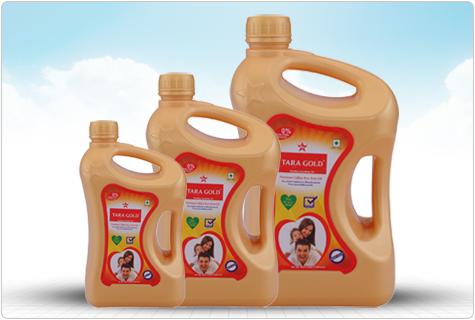 Tara Gold Premium Refined rice Bran Oil is produced using advanced German Technology under close supervision, resulting in virtually 0% trans-fatty acids. It is produced from edible grade rice bran oil. This edible oil contains vitamins, antioxidants and nutrients. Our R&D centre has determined that this product has negligible cholesterol. It is light and very tasty oil. It fights certain kind of diseases and thus, enhances the immune system.